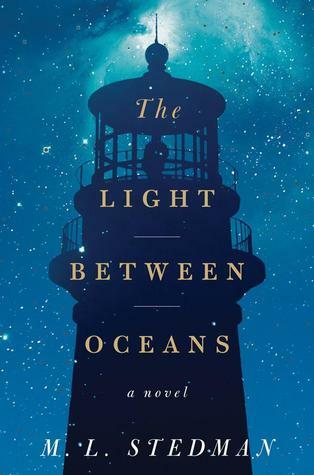 The Light Between Oceans is a captivating historical fiction set in Australia during the first half of 1900. This book traces the life of a solitary lighthouse keeper Tom and his wif e Isabel and the consequences that follows with one life changing decision they made. I was engrossed by this story because once I got into each character’s head, I want to know what they will do next. It was also devastating seeing good people making bad decisions and I cannot do anything about it. It is a book that makes you wonder: what would I do in this situation and what would happen if the characters made different decisions. It was a journey to come to term with loss and grief, and to see that sometimes there’s no right answer. With romance, mystery, and moral debate all in one,this book would also be a good book club read. The Light Between Oceans was also made into a film two years ago with Michael Fassbender and Alicia Vikandar. I watched the movie after reading the book. Like many books turned into movies, important details were left out but it still made me tear up. However, for someone who is unfamiliar with the plot, the narrative might seems disconnect. On the other hand, the cinematography of this film was beautiful and it captures the breathtaking landscape of Australia and New Zealand. Ivan Coyote is the kind of storyteller who finds their way into the heart of anyone who takes the time to listen. In fact, one of the stories in Tomboy Survival Guide is kind of about just that! But I’m getting ahead of myself. Tomboy Survival Guide also follows up on a collaborative performance project of the same title, that Coyote developed with an all-tomboy musical ensemble, and it explores many of the same themes as Gender Failure. Here Coyote digs back into their own life, growing up from their tomboy roots into a young butch adult, and finally embracing the uncategorizable nature of their gendered experience. Funny, vulnerable, and sometimes sad, this is ultimately a heart-warming collection of memories that, like all of Coyote’s writing, inspires me to be a stronger and more compassionate person.